Build help: Formerly Weapon Ten in a stall & control build? Updated with new build based on feedback. 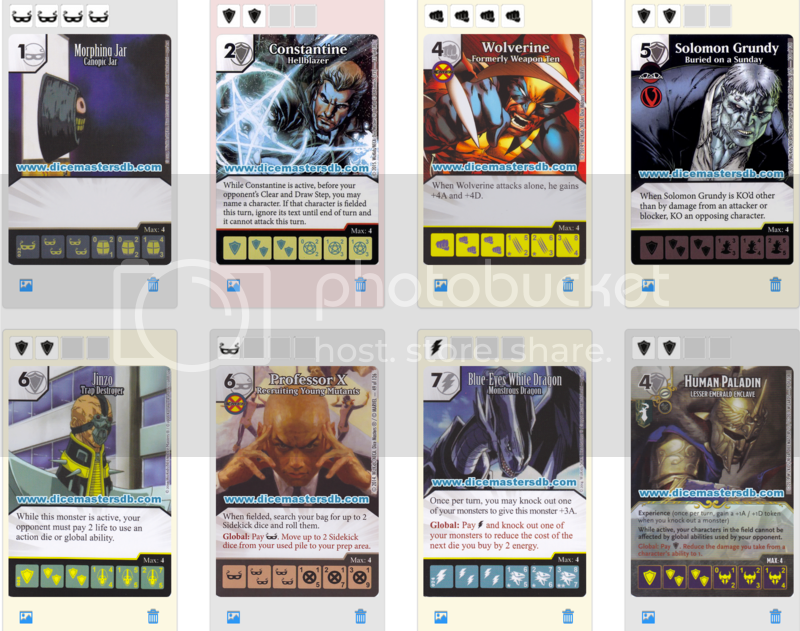 BEWD, Solomon Grundy, Constantine, Jinzo and Human Paladin for control & stall. Formerly Weapon Ten with Relentless as win condition. It's dependent on rolling enough masks (with Morphing Jar) to relentless the entire field. Not sure how I can fit in a Green Goliath here for board sweep - at the expense of which card? I have a tough time actually having BEWD benefit me more than my opponent. It seems like my opponents benefit from it just as much from it as I do, and they essentially get an extra card to use. Any constructive feedback on this build is appreciated, thanks! Last edited by reaverdrop; 08-28-2015 at 11:39 AM. Reason: Updated title and build. you do not need Kwannon and Grundy on the same team. Grundy is just superior. You are reserving a spot for Kwannon that you could use to flesh out your team more, when her roles are already present in the other cards you have. 1) cheap masks == Morphing Jar, 2) Targeted KO, Grundy does this better, cheaper, and more on demand. Hard to argue with anything else on your team though, except the lack of a Human paladin/DCK, and your lack of multitarget removal. Perhaps not Anger Issues? and instead something that synergizes with your stall strategy? Perhaps something that is more direct damage than FWX's combat dependence. Surprisingly, you made the very second team on my old constructed deck. Just get rid of Wolverine. You're stalling out the game and he isnt to your style. 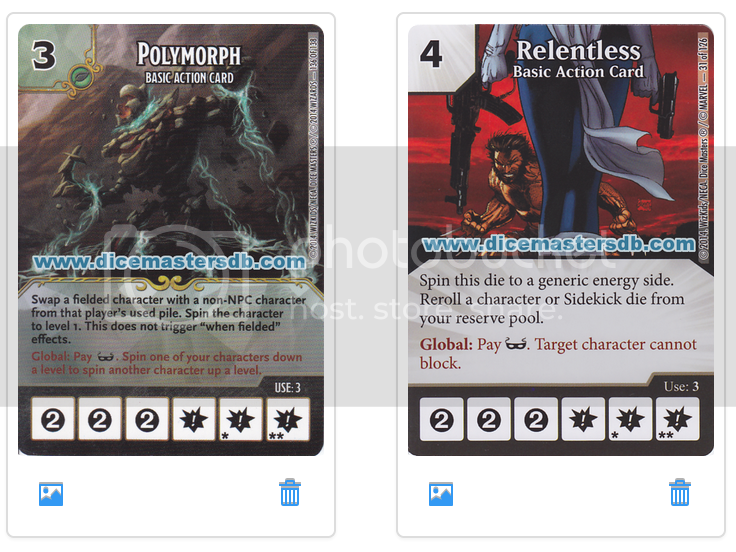 I should know, he was in my very first deck just like this one minus Grundy, BEWD, Polymorph and Anger issues. He will hold you back. I'd ditch Kwannon and Grundy, and use McRook instead - cheaper and no need for external support to function, while also giving you some bolts for BEWD. PXG is redundant, and will probably benefit your opponent even more then BEWD (until you get Jinzo out). If you really want to stall your opponent, use Professor X CFX to prevent them from fielding characters, and throw them for a loop by fielding him and flipping his stats with Ant-Man's global (which will also synergize with Anger Issues). You're literally giving him another piece out of this specific deck I made. I used Mcrook. It doesnt work as well without distraction. I'll swap out Kwannon for Doomcaliber or Human Paladin. If I don't have Formerly Weapon Ten, who should I replace him with? And how do I best use Polymorph for a fast Jinzo? Thanks for sharing your new team, I'm going to try that! Looks fun. See my reply above. Will replace Kwannon with Human Paladin or DCK. Who should I replace FWT with? Green Goliath for board sweep? And if so, which basic action instead of Anger Issues? Magic Missile? Relentless? Last edited by VastSpartan; 08-26-2015 at 07:33 PM. I updated the original build with Relentess instead of Anger Issues, swapped out Kwannon for Human Paladin.